It indeed shortens lots of travelling time for most pple.. 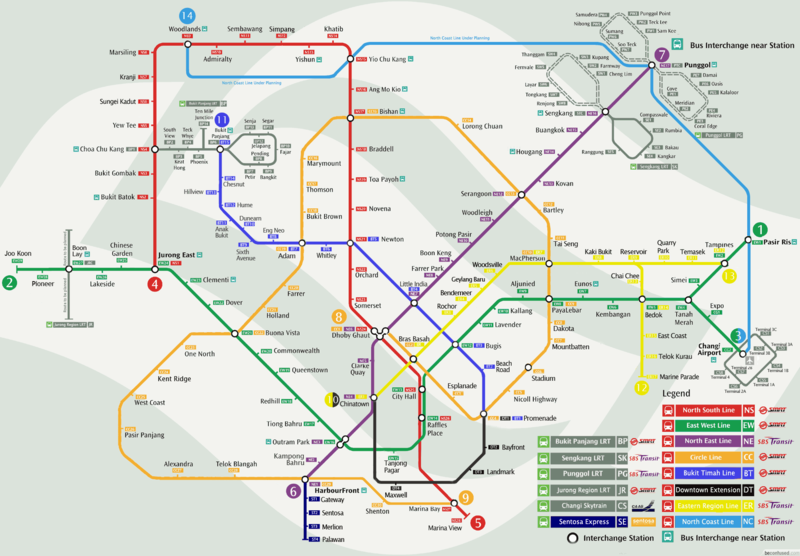 So now we have 4 mrt lines.. Green (East West) Line, Red (North South) Line, Purple (North East) Line, and Orange (Circle) Line..
Circle line is half way done, big project which take yrs.. but now passengers can enjoy the cut-ride via Bishan, Serangoon and Paya Lebar. Paya Lebar interchange is done v well.. no need to walk for so long to exchange trains… just up/down 2 escalators and there it is! Nice! Don’t u love it too?